Networking is the most important fundamental for success in life. Good networking is key to opening your world to financial success and obtaining a lot of supporter or beneficial people to help you in your life. Northwest is the corner to tap benefactors' luck. It is the place for the patriach to flourish and become more prosperous through opportunities created by helpful people, supportive bosses and important figures. So, activating your northwest's mentor luck would mean activating the ultimate source of income for the whole family. Having good networking smoothens 80% of your ride to create abundance. Therefore, it makes northwest the most important corner for your house to invest on. Since northwest belongs to metal element, it would be beneficial to tap metal energy in the area. Click on the link in the individual columns below to learn more about the mentor luck symbols and how to apply them in your Feng Shui! Feng Shui masters often associate Dragon Tortoise for tapping supportive energy. Dragon Tortoise is for those who want promotion and unending support from management. Coin sword taps you important mentor luck to seize benefactors and is important for those working in highly competitive environment where backstabbing, bad people and politicking is unavoidable. 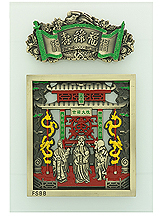 The 9 Emperor Coins is a symbol of support from important people and upper management. Hang in the northwest to represent neverending support from the Nine Emperors. Dragon is the most powerful symbol in Feng Shui. Most chinese businesses would use Dragon as the logo (including ours) to ensure unending support from important people. 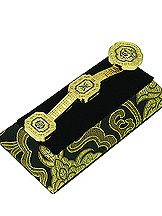 A Ru Yi is a perfect item placed in the northwest to tap important benefactors into your life. Ru Yi was held in the arms of high ranking officials in China. Recommended for bosses. The bronze rooster in the northwest signifies important people being invited into your life. The bronze rooster ensures you career ladder success and creating more leadership in you. Invite a Kwan Kung into the northwest sector to enhance important benefactors to support your big dreams in corporate, businesses and politics for constant victory. Gems are earth element which feeds to produce metal element in the northwest for Mentor luck. Amethyst is good for career. This is the hottest item for creating more advancement in your career. Use this powerful earth energy object to boost metal energy in Northwest luck. 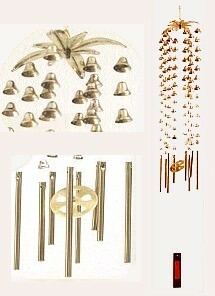 This special 8-rod windchime is specially made to activate Mentor luck in the northwest area of your premise. This promising amulet will ensure you experience fruitful harvest in everything you do, bestowed by the Jade Emperor. The Jade Emperor (Yu Huang or Yu Di), known informally as Heavenly Grandfather (Tian Gong) is the ruler of Heaven in Chinese mythology and is among the most important gods in the Daoist and folk pantheons. In his capacity as celestial ruler, the Jade Emperor is thought to govern Heaven and Earth, and he holds the power to distribute wealth to mankind. He is in charge of blessing everyone with good fortune and happiness so that there will be less suffering. Furthermore, he showed respect and benevolence to both men and creatures with loving kindness, but possesses powerful capability to vanquish evil. Having the amulet of the Jade Emperor brings good luck in the form of solid support from those with the power, influence and capability to help you. Helping those who feel you are bouncing from idea to idea getting nowhere, you will make progress in leaps and bounds. Those without a plan will find new opportunities to benefit from and enjoy a windfall of some kind. You will also be blessed with victory luck and benefactor's luck. Symbolizing all rounded success in career and networking, this pendant features the "world globe" which is the universal symbol of excellent network, victory, fame, popularity, recognition and mental development. It is also a potent emblem to enhance mentor luck that will attract benefactors and help from important people. For businessmen, the globe symbol will bring excellent publicity and expand your sales network to a global market. The symbol also assists those who are seeking office or testing the abilities for a promotion. It will greatly help those in the corporate life facing the meritocratic review and who need to compete with their peers. The reverse side is inscribed with the taoist talisman of "LUCK TRANSFORMING". It answers to all requests and promises a favorable turn in life and a quantum change in your luck. In short, it is like a success fix! High Taoist Masters give out this magical incantation as an anecdote to those who ask for help to change their luck, investment progress and career. It transforms bad luck into good luck, especially great for years when one's zodiac has bad luck.You will be unrestrained and seeing enormous changes that leads to boundless returns. 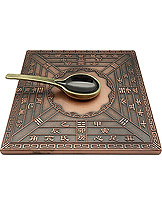 Also inscribed is another taoist talisman of "Travelling Safe and Healthy". This incantation is equivalent to having someone who lends an unseen but beneficial helping influence to remove all blockages and safeguard you from misfortunes. It brings you safety from premature death and offers supreme protection against all forces that threaten your safety. It is therefore also a suitable charm for those who are travelling regularly. This extraordinary masterpiece honors our brand's long standing tradition of creating reliable emblem of fortune for discerning practitioners who pays as much attention to dressing up him or herself as to doing up the home sanctuary. Commonly used in feng shui to denote the three attributes of a good life. Represented in human form, the Sanxing ("Three Stars"), who are Fuk, Luk, and Sau are actually "three stars" symbolizing three qualities of Prosperity, Status, and Longevity. The three stars are actually referring to Jupiter, Ursa Majoris and Canopus. The tablet features an artistic chinese sign board inscribed with chinese characters "Fuk Luk Sau" and a majestic chinese mansion with the three deities living in it. The Star of Fortune "Fuk" connotes good luck and success. The Star of Prosperity "Luk" symbolizes prosperity, where authority is gained and salary is adequate. The Star of Longevity "Sau" represents good health and longevity. This stunning masterpiece constitutes a meaningful and prestigious gift for your parents, close friends and relatives. You can display this set in your office or at the dining area of your home. In 2017, we recommend that you display this auspicious tablet in the SE to activate the Advancement Star #9. Captivatingtly stunning, this Nine Emperor Coins in glowing gold is made from extraordinarily thick and superb quality coins. It is like injecting a high dose of quality into an important emblem of power. A departure from the usual pieces, this limited edition collectible is finest in craftmanship and specially made to be tasteful in esthetics.With a super thickness of 4mm, these newly minted fine quality coins are guaranteed to be the most unique and beautiful in the market. Featuring the coins of the Nine Emperors from the Ching Dynasty, "nine" signifies completeness. It is the emblem that epitomizes the powerful Ching Dynasty's blessings. The Nine Emperors will bless you with enhanced working status and authority. It also brings about nobleman coming forward to provide solutions and enhance your chances of enjoying a better income and social status. Powerful figures will help you navigate through difficulties.Whilst attracting nobleman, the auspicious coins help you gather riches, allowing you to face challenges fearlessly, paving a smooth path lined with success, benefactors and abundant opportunities. If you want more eggs, you have to take care of the hen! Unique and stunning, this heart-warming combination of the fortune Lion Head ("si" in chinese) and the auspicious Ru Yi resembles "Wan Shi Ru Yi" which connotes "everything splendid and prosperous". This means all your undertakings, family matters, projects, encounters, social life, financial portfolios will be at excellent status all year round. With the elegant looking emblem, nothing will be restrained and nothing will hold you back from advancing forward. Also adorned are the auspicious symbols of "sau" (longevity) in the center and "wu fuk" (five fortunes) at the tail of the Ru Yi. The reverse side is consecrated with the sacred "Wishfulfilling Mantra" (OM PADMO USHNISHA VIMALE HUM PHAT) to enable the fulfillment of your wishes. When displayed in the living room or family hall this combined emblem will guard the whole family from any harm. You can also display this at your personal "sheng chi" corner of your living room. This family of six clear smooth rounded crystal balls (resembles the auspicious heaven luck number) is specially designed to foster loving relationships, ensures a smooth and easy ride through life for residents and create a harmonious family. This is known keep away quarrels and ensure harmony which in turn bring success in all endeavours and promises victory for all pursuits. In Period 8, due to dominance in earth energy, these 6 crystal balls become a very powerful energizer of auspicious star for good luck. Every household should have at least one set of these in the living room. It is recommended that everyone should place six smooth crystal balls in the center of the house. This is said to bring in lots of wealth, good fortune and money to the family.